Hope you can join us for another fun and delicious event at the Chanslor Ranch! 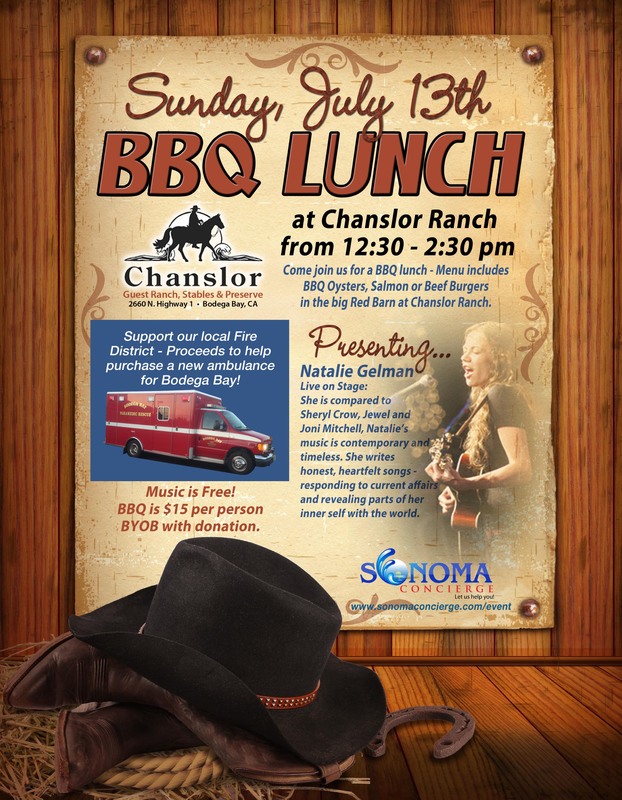 Dine on delicious, locally sourced BBQ Oysters, fresh caught salmon or a beef burger while listening to the folksy, guitar sounds of singer, songwriter Natalie Gelman www.nataliegelman.com Sonoma Concierge Chef’s Paul Ginochio will have his BBQ trailer cooking up some delicious food at the Chanslor Chuck Wagon. $15 a plate. This Sunday, July 13th from 12:30 to 2:30! Don’t miss out and wish you’d been there!